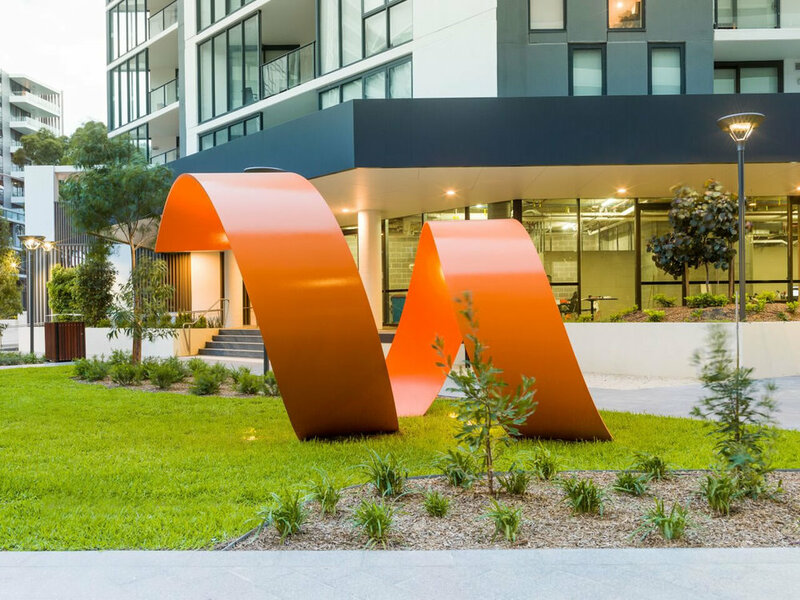 Ebb and Flow was commissioned by Bridgehill for the Esprit Apartments development at Mascot. I wanted to acknowledge the importance of water, specifically the Botany aquifer, in the evolution of this part of Sydney. That’s where the flow-form of the work originates. Fabricated from low-carbon steel plate, the artwork’s materiality echoes Mascot’s twentieth century industrial heritage. In responding to the site’s contemporary evolution, the artwork’s long, spiralling form creates a counterpoint to the surrounding rectilinear built forms. 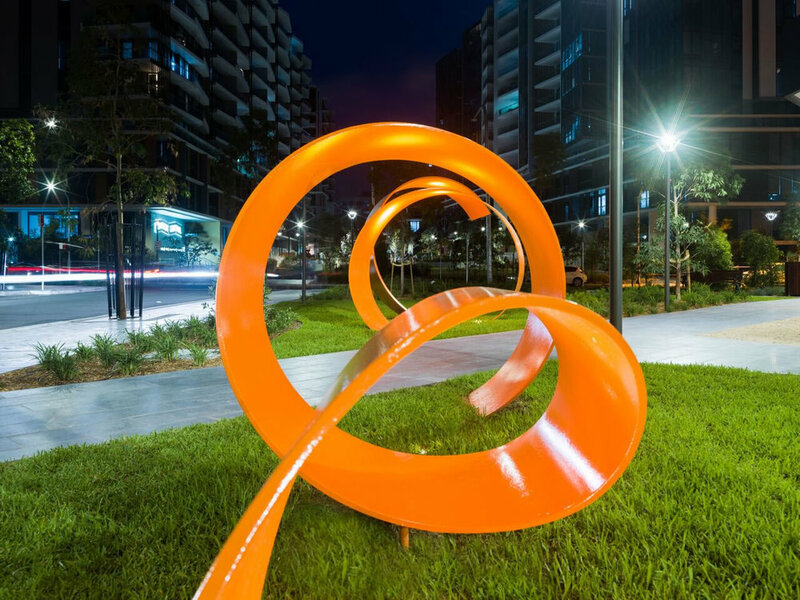 The design of the sculpture enables people to move through it and even sit on it, encouraging a direct interaction between people and artwork that brings a human touch to this development.